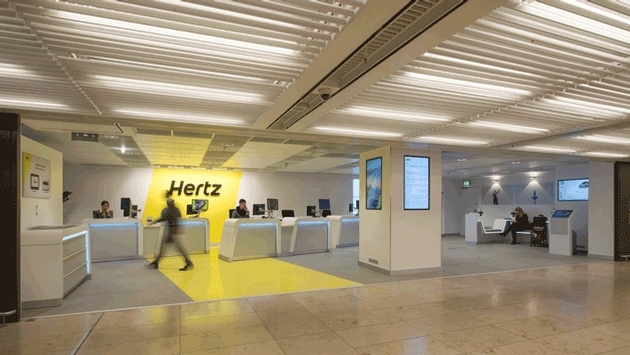 The Hertz Corporation’s efforts to increase rentals of its hybrid and fuel-efficient cars has earned the company honors from The GBTA Foundation, the education and research arm of the Global Business Travel Association (GBTA), and Project ICARUS in their 2nd Annual Sustainability Outstanding Achievement Awards. Hertz and Autodesk jointly received the award for their collaborative efforts to increase hybrid and fuel-efficient rental car use among business travelers. "Hertz is always looking for opportunities to provide sustainable business value to our customers that deliver both cost and environmental savings," Mark P. Frissora, Hertz Chairman and Chief Executive Officer, said in a statement. "Autodesk and Hertz's mutual focus on improving sustainable business travel was a perfect fit for collaboration. Our joint effort to increase green vehicle utilization has been a huge success, and it's an honor to win this award with them." The Hertz Corporation and Autodesk, which specializes in 3D design, engineering, and entertainment software and services, were honored this year for their work together which increased business travel usage of alternative fuel vehicles; increased overall high MPG vehicle utilization; lowered CO2 emissions; increase usage of Hertz 24/7 electric vehicles; and reduced fuel costs. These achievements resulted from a strategic green travel program implemented by both companies and Autodesk's continued commitment to rent hybrids, fuel-efficient and electric vehicles from Hertz. The award recognizes travel buyers, suppliers and intermediaries who can demonstrate outstanding leadership, innovation and commitment to delivering best-in-class sustainability programs, products and services across North America.